Gianni from Café d’Alsace was kind enough to invite some folks from the neighborhood for an informal tasting today led by Michael from Union Beer. 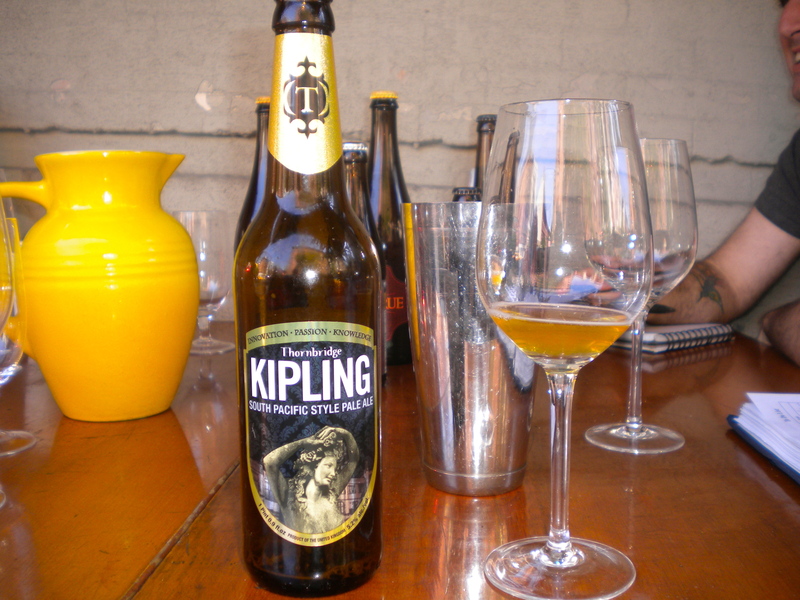 First up was Thornbridge Brewery's Kipling, a South Pacific Pale Ale clocking in at 5.2%. You can see the golden color popping in the glass. Even with 3 hop additions, it was clean and light on its feet, with lots of fruity notes, particularly mango and melon. The brewery manager is a Kiwi, so maybe that’s where the South Pacific style term is coming from? This was my first introduction to Thornbridge Hall, which started in 2004, in Derbyshire, England. Seems like they’re doing some pretty cool stuff. According to their website, they use 18 varieties of malt and around 60 varieties of hops from all over the world. I’d like to get my hands on their Jaipur, an IPA. 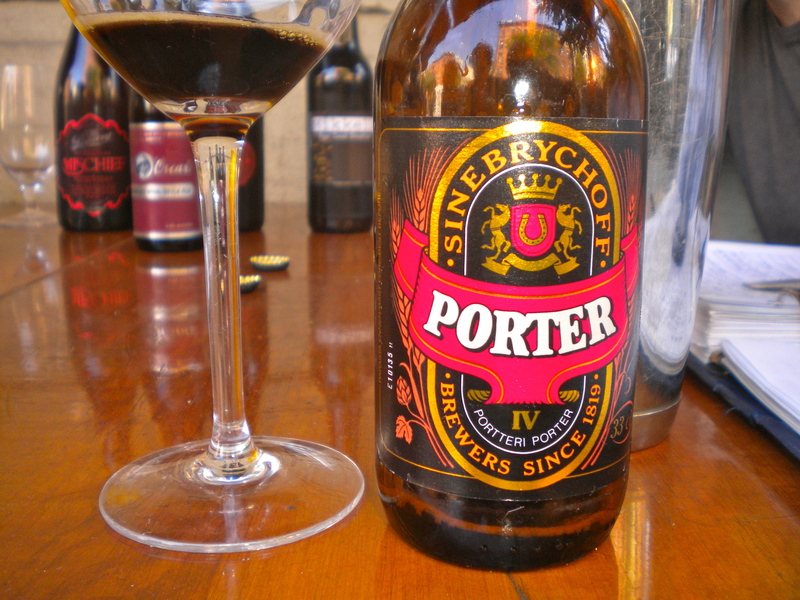 Next was Sinebrychoff's Porter, 7.2% abv. 1 bottle KOFF Christmas Beer. Blend and cook the water, honey and spices. Pour the broth through a strainer. Warm the beer in a kettle without bringing to a boil. Add the spice broth to the beer blend. Check the sweetness and add honey to taste. You can make a dessert that will warm your insides by mixing a drink with only Sinebrychoff’s Porter and the spice broth. Serve with whipped cream in a heat-resistant glass or mug. 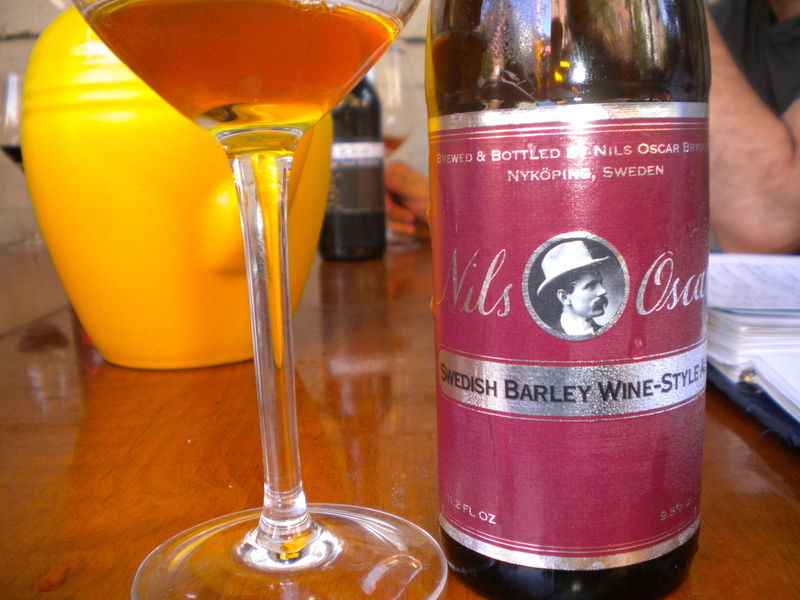 Nils Oscar Barley Wine, 9.5% abv. My favorite of the lineup, this beer had lots of brooding fruit and reminded me of an Oloroso Sherry. Apparently, it’s Sweden’s leading craft brewery and this beer is named after the owner’s wandering, story-telling uncle. 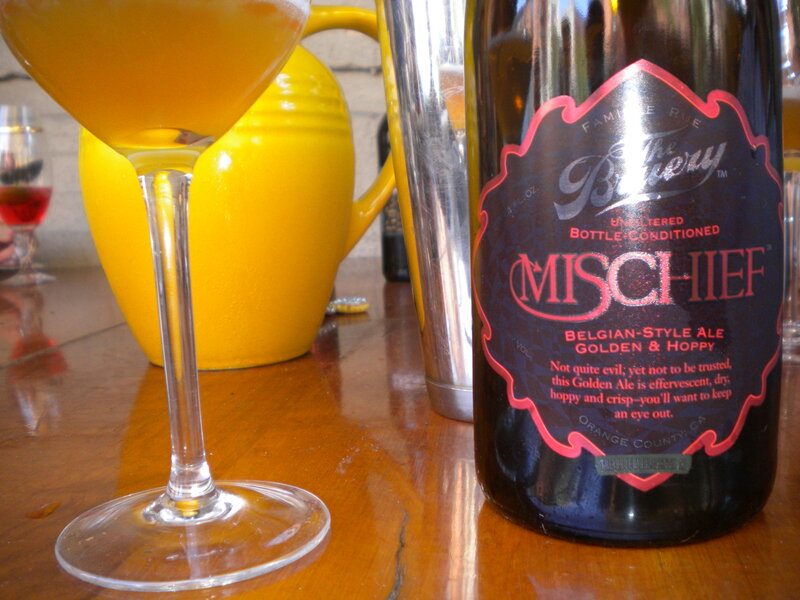 The Bruery's Mischief was beer #4. A Belgian-style strong golden ale (think Duvel), clocking in at 8.5%. Muddle the lime juice, watermelon, hot sauce, and cilantro in the bottom of the glass. Add the beer. Squeeze the lime peel and pop in the glass. Top off with salt and pepper, and garnish with cilantro. Drink up! 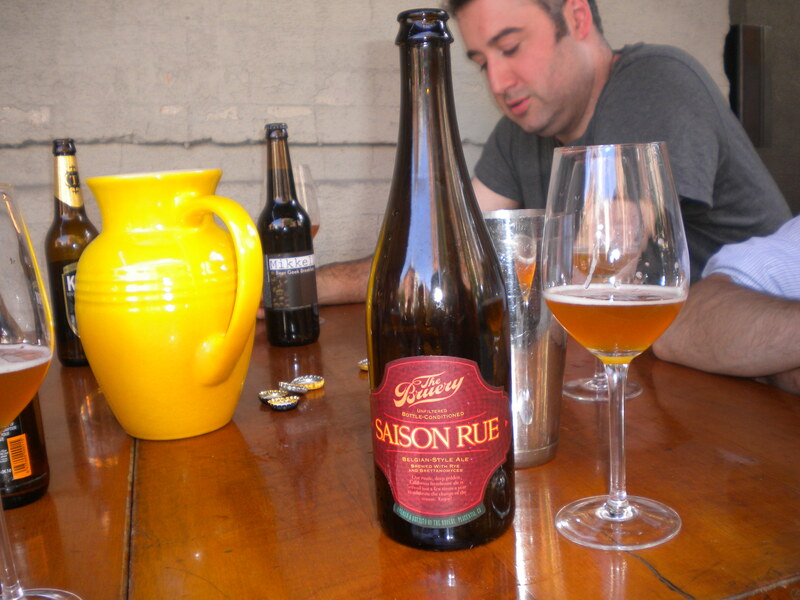 Bruery's Saison Rue, a farmhouse style, also at 8.5%. Josh from Kaia, in the background. Lot to be said about the flavors and aromas of this beer: earthy, spicy, graphite, sage, biscuit, citrus. I guess the Rue family had no choice to start a brewery. You can find them in the unfortunately-named town of Placentia, CA. 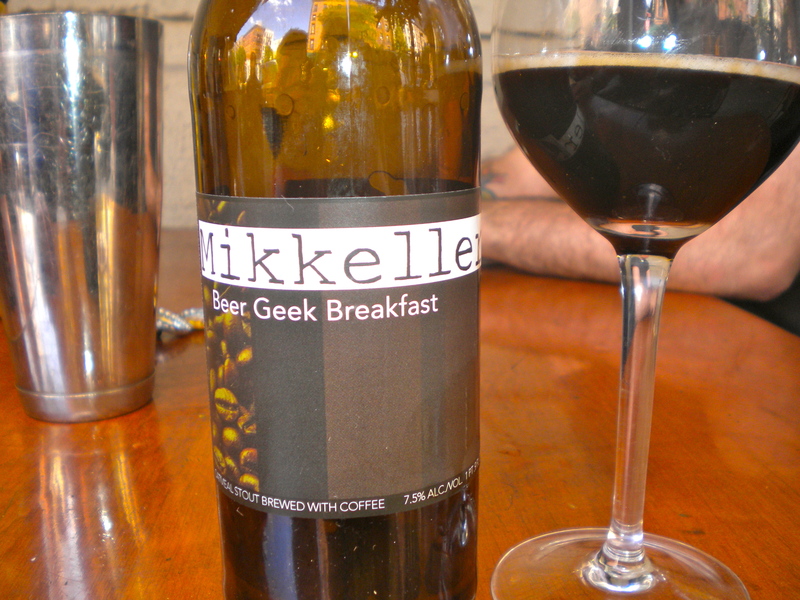 Best name of the day - Beer Geek Breakfast - an oat and coffee stout from Mikkeller in Denmark, 7.5% abv. According to their website, Mikkeller launched 76 new beers in 2010 alone (!). Beer geek breakfast reminded me in the best way of the cold brew coffee I’ve been enjoying at home since the start of summer.